Think back to 2014, my friends. Do you know what happened on this day? 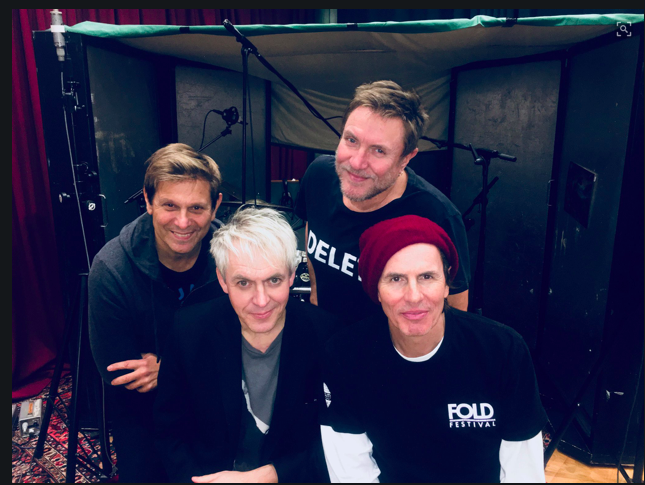 Simon sent out a short update on #DD14 (which we now know to be Paper Gods), saying they were in the refinement stages – but he didn’t give out names or confirm/deny any other rumors circulating at that time. It was as though we were gathered outside a studio, waiting for any signs of life from within. There was a gasp, and perhaps a small shriek of victory from the crowd as a tiny window in the door suddenly creaked open. We ran up to the door, essentially climbing over one another, and straining our necks to see whatever there was to see (which wasn’t much). A voice beckoned from beyond, although it was too dark to see much. The voice told us all that yes, they were still in the studio, and no – we could not come in yet. Go home, the voice suggested. Wait for further instructions there, and leave them in peace. The window slammed shut, the crowd sighed in collective disappointment and perhaps a bit of relief, and more silence ensued. Can you believe that was already FIVE years ago?? I can remember being so nervous about what the end result would be. So many rumors had circulated about what the band had been working on, and in the end – Paper Gods was exactly as it should be. This time around, I’m not nearly as anxious. I think having time and space to work without comments from the Peanut Gallery (that’d be me!) might be helpful. After all, the band didn’t get this far in their career without knowing a thing or two. So here we are once again, waiting to see what may come. I say, grab a comfy spot on the sofa, because it might be awhile! While we wait, let’s take a look at an oldie but a goody: Songbook, which aired on Sky Arts also on this date in 2009! Truth be told, this is one of my very favorite televised programs from the band, so I don’t have to be coerced much to sit down and watch it again. I can’t help it – I do love watching these videos. They help boost my mood a bit (I’m suffering from a little bit of missing my two oldest kids today), and who doesn’t need a pick me up every once in a while – right? Looking forward to the day when I can post news about studio updates, should we be so lucky as to hear of some! Until then, I’m going to start looking for some good older videos to share from good old YouTube. If you’ve got any you’re hoping to find or want to share – let me know! Did you listen to the Katy Kafe this week featuring Roger Taylor? I did and blogged about it on Friday. Sometimes, a word, a sentence or a detail from those Kafes stick with me. That is the case with this one, which is funny because it wasn’t very long or did not feature a ton of news on the Duran front. Yet, it did give one juicy tidbit. Duran Duran is planning on returning to the studio before the end of the year. According to Roger, the band is planning to return to the studio for some “fun” (his word) but it might not be a new album. I don’t know about the rest of you but I keep thinking about what exactly that might mean. After the All You Need Is Now album cycle, I felt a sort of desperation for the band to keep active. That album spoke to me and felt like Duran had embraced themselves and their fans. Many fans seemed to be active on social media and expressed a lot of happiness about their fandom during that time. While I say that, I recognize that it wasn’t a complete utopia and I knew that even then. Nonetheless, things felt good to me and I really believed that Duran was on the “right track,” whatever that means. Then, of course, the time between that album and Paper Gods rolled around. 2012 turned to 2013 then to 2014. That tiny sliver of desperation I felt seemed to be growing. I often blogged in response to this feeling. Many took some of those blogs as complaining and not being understanding of the creative process. I kept trying to explain that it had more to do with my concern over their success and the fear that if they took too long, the fans wouldn’t remain. Those blogs always came from love, despite my flaws. In hindsight, a lot of it had to do with my own fear that the band wouldn’t come back or that when they did come back, too much would have changed to feel the same. The fun wouldn’t follow. In reality, this had a lot more to do with me. Things were not always ideal in my world and I was putting a lot of my hope and joy onto fandom. I needed to have something to look forward to, something to give me happiness and not much in my life was beyond fandom. This combined with the fact that Rhonda and I took our fandom to a more serious level by not only blogging but organizing meet ups and a weekend long convention. 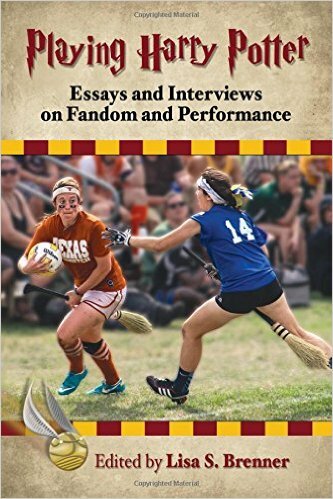 Fandom took on a greater role in my life. Now, we are witnessing the last dates of the Paper Gods Tour and era. This time, things seem to be different. On a personal level, I’m aware of what happened last time and how I reacted and why. I also understand creative process work in a different way now than I did in 2013. I have vowed to give them as much time as they need for whatever exactly they are going to do next. Yes, the plan is just to give as much support as I can. Funny enough, though, the band seems different this time, too. The fact that they are planning to go into the studio indicates this. It doesn’t sound like it will be years between Paper Gods and whatever is next. (While I type that sentence, I hear many of you pointing out Durantime. That may be true but I, again, will be positive throughout it all.) Of course, while the band is planning to return to recording, Roger says that it might not be a “new album”. So, what could it be? I have no idea what exactly the band is going to be doing in the studio. In order to figure it out, I have thought the band’s career. Is there anything that they have had in the past that could give us an idea? Maybe. At times, the band has released a single in between albums. I’m thinking about songs Iike Is There Something I Should Know or Wild Boys. Could they think about writing and recording a song to be included on a re-issue or on a live album? What about a album of remixes or another greatest hits album? While they have never done a real EP, or smaller album, they could do one now. Maybe that would be good. Of course, one factor that makes this time unique is that the 40th anniversary is coming up. Could that be the factor that is pushing the band back into the studio? Could they be doing something special for that? What about the idea of going through some of those demos that we know were close to being ready and finishing them? I can only imagine that the band has a lot of work out there that could be completed and sent out into the world. If they did an album of those, that might not be considered a “new” album? I’m not sure. Roger sure left me with more questions by this piece of news. While I’m prepared to be patient and supportive through this time between Paper Gods and whatever come next, I wouldn’t mind getting a little something to ease the anticipation. I’m okay if it is a song or two or an EP or an album featuring previously unreleased demos. Whatever and whenever it is going to be, I’m looking forward to it. Yesterday I wrote about a rumor involving a new Duran Duran album. Apparently, if we are all to believe the rumor, the band has been working tirelessly – fingers to their bones – to record an album entirely on their own in their “spare time”. I put myself out there and said that based purely on my own past experience as a Duran Duran fan, I really doubted this to be true. That opinion still holds this morning (and I appreciate that I wasn’t burnt at the stake yesterday for saying so). A few Duranies asserted, probably with a fair amount of wishful thinking thrown in for good measure, that perhaps this could be Reportage. I have some thoughts on that. First of all, the existence of Reportage has turned into this fabled, prized, collection of work that has taken on the enigma of being The Golden Ticket. I myself have spoken to a fan or two that somehow has either heard the album, or that claim to have a copy. One person said, “anyone who is anyone in the fan community has heard it. The music is floating around.” Well, I haven’t heard it. Not a single note. That means I’m not anyone, I guess. Not really a surprise there, either. I love it when people tell me they’ve heard it, because they have this air about them. You know what I mean. The whole “Yes, I know I’m on the inside and you’re just a lowly REGULAR fan.” Even if they don’t mean to sound that way….they absolutely do. And they secretly love it, because they have The Golden Ticket, while you and I do not. Let’s face it, had I ever heard it – I’m sure I’d come off that way too. But I haven’t. At this point, I’m really starting to wonder why anyone cares. Do any of us really know how many songs and material, have never made it onto an album over the course of their career? Reportage is probably just a group of 9-12 more songs that never quite made it. Sure, some of you are probably saying, “Yeah, but these might be outstanding!” Yes. That’s true. But Duran Duran probably has quite the archive of songs that had the potential to be outstanding. After all, this is the group that wrote “Rio”, and “Paper Gods”, and/or “Danceophobia”. Well, I’m just gonna need a vodka tonic in order to deal. And it’s only 10:30 am my time. Oh, and yeah, I’m still nearly 100% sure that they’re not going to be releasing any album next month, Reportage or otherwise. Until someone from DDHQ says otherwise, and I’ve been properly revived from falling on the floor in a dead faint, I’m sticking with it. But hey, if anyone wants me to hear Reportage, by all means my inbox is open and ready. While on vacation, I noticed DDHQ post a link to a song on Soundcloud with a very familiar vocalist. The song is titled “Eiffel Tower” and the singer is none other than Simon Le Bon, of course. I had almost no data connection, so I had to wait to listen. The lack of data didn’t stop me from seeing the comments, and nearly everyone had something positive to say. I couldn’t wait to hear it myself! I made a mental note to listen as soon as I could and thought about it throughout the week(s). So today, I promised to sit down and listen. I found the link, clicked on it, and almost immediately felt the familiar chills and goosebumps on my arms. Simon’s voice is like silk, and the music is like a favorite blanket. Lush and soft – its gorgeous. The guitar is beautiful! The track is full of emotion and it doesn’t overpower the rest of the music. I can even hear strings in the background, and they lead the listener further into the music. Layered songs with many different tracks like this one can sometimes get very messy and end up sounding like background noise to vocals, but not here. The production is done extremely well. At the end, there’s a gorgeous, beautiful guitar solo that I have heard is Warren, and it is done masterfully. The guitar doesn’t overpower, it simply led me back out of the song in the same way that the strings held my hand and drew me in. Brilliant. But back to Simon’s voice. It blows my mind into pieces. I don’t know if he is responsible for the lyrics, but even if he didn’t write them, he delivers them like poetry. I’d forgotten his velvety voice when he is relaxed and not trying to reach a crowd of 20,000. Absolutely stunning in every single way. The song ended, and I caught my breath. I realized I’d been holding it for quite some time while I listened. This was a song that was going to stay with me, and I love when that happens. This single piece took me on a journey, and not many pieces of music do that for me these days. And then, another song began. The instrumental version. I almost couldn’t take it. I was already completely sold on the song, but somehow, this piece took everything I loved about the first one, stood it on its head, and made it even better. I’m a sucker for a full orchestra. I won’t lie. Let’s face it: I spent much of my childhood playing in an orchestra, so it makes sense, really. But this is different. It’s kind of like hearing the orchestral version of A View To a Kill, but even better. Again, I get the chills going up my arm and the hair on the back of my neck stands on end. I was already on a high from the first version, but the orchestral version took my feelings up a notch. My eyes welled up, and the emotion I’ve had bottled up for the past six weeks spilled over. I won’t be able to forget this song for a very, very long time. Which is exactly how I like it. Take a listen for yourself and see what you think. Countdown to Paper Gods – TWO! Two days. 48 hours. I could figure out the seconds but nobody needs me to do that. We have nearly arrived at what I wouldn’t call a destination, but rather, the next stopover on our journey. We are so close that we can see the welcome sign, and some of us – oh hell, nearly all of us – are running to get there. I have no idea of what the future may hold, only that once again, we have come full circle. Although it has been nearly five years since the release of All You Need is Now, when I think back – I can still remember the first moments of listening to the album in full. I remember those feelings of anticipation mixed with nerves and excitement. I remember the hope, the joy, and the elation. To this day, I still have All You Need is Now in my car stereo, and I still love it. For that matter, I love it more so now than in 2010. Songs have grown on me, and now I have memories to match most of the songs on the album. For me personally, those memories have made the album what it is to my heart. All You Need is Now is a tough act to follow, at least in my mind. While no, it might not have been a “critically acclaimed” album or marched up the charts for a lengthy stay in the top ten, that never mattered (to me). Now we are at the same vantage point for Paper Gods. In nearly ever review I’ve seen, Paper Gods is the album to beat this year. Critics seem to really enjoy what they hear, which quite frankly blows my mind. This is Duran Duran, the band that those same critics have laughed at over the years, and now – this album, has suddenly been added to “album of the year” status. Well then. I don’t know how that happens. Over the coming days and weeks we can begin to sort that out as fans – but I’d be lying if I didn’t say I wasn’t curious as to how the album might do. However, on this day, with a mere 48-hours to go, I leave you with another way to fill up some time AND support Duran Duran in the process. That’s right. Go to duranduran.com and buy yourself some of the new Paper Gods merchandise. Maybe take a spin on eBay and see what comes up. Preorder the album if you haven’t, there’s still time! Plan your wardrobe for the upcoming shows. Bask in the glory of being a Duran Duran fan… I sense the best is still yet to come. Countdown to Paper Gods – THREE!! We have had five songs already released from Paper Gods, and I’m not seeing NEARLY enough about them on social media. So, let’s blitz all social media today and get them out there! Your task is to share each of the five songs. Let’s get them trending!!! If we want this album heard ’round the world…it’s gonna take all of us to make it happen, so get going! Let’s get the music out there…share and encourage your friends and followers to pass it on!